In 2015 the American Kennel Club ranked bulldogs the fourth most popular breed of dog. Frenchies were sixth and boxers rounded out the top ten list. 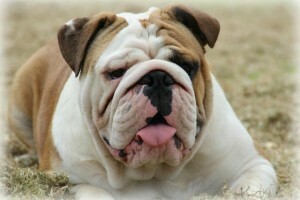 The people at the Dog Breed Info Center have a comprehensive list of bulldog breeds. Here is a list of three breeds that may surprise you. Also known as a Spanish bulldog, Alanos can run at high speeds for extended periods of time. 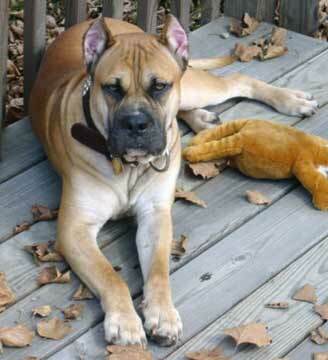 They were bred to be sturdy and have a proportionate body. Their origins can be traced back to Molossia in ancient Greece. They are a large dog with powerful jaws and a minimum under bite. They act dominate but are easily commanded by their owner. They show patience with children and are affectionate towards people they know. They are hard workers and with a high pain tolerance. They are not aggressive but are fearless and protective. They can weigh between 75 and 90 pounds. Their height is between 22 and 25 inches at the withers. Females are smaller than males in both height and weight. They are a healthy breed and do not suffer from disease. They like to chew things and would be happy being an outside dog. They weren’t bred for looks but bred for rough environments and hard work. It only makes sense that the smallest continent on Earth should have its own breed of bulldog. They are nicknamed Aussies, and look similar to an English bulldog. They have broad chests and good muscle tone. They can have a variation of colors and pied coloring that is beautiful. They are a medium sized dog that is intelligent and loyal. They are an easy going breed that is great with children. They are very alert and can make a good watch dog. They crave leadership and need a consistent owner. Aussies can weigh between 50 and 80 pounds with females being smaller. They aren’t very tall and stand shorter than two feet at the withers. Breeders have tried their best to breed out health problems. As with any dog, they are not faultless in their health. Long, daily walks are the best exercise for this breed and love to roam at home. This breed of bulldog is also known as Perro de Presa Mallorquin. In Catalan, “Ca de Bou” means bulldog. 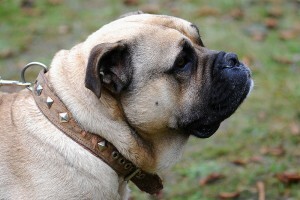 You can also trace it back to ancient Greece, like the Spanish bulldog. This dog is a medium to large sized dog with a definitive size difference between male and female. They are muscular dogs with deep chests. There are different lines of the dog within this breed and can vary greatly. A stockier and shorter dog is preferred in Europe. In Spain and Scandinavia, a leaner and taller dog is preferable. The Ca de Bou has a quiet nature but can be brave if the situation calls. They are devoted and trusting of its human. This breed is among the best for guarding its humans and property. They are strong minded dogs that require a stronger minded owner. Despite their fierce expression, these dogs are superb with children. These bullies can weigh between 65 and 85 pounds. Their height can vary between 20 and 22 inches at the withers. Their skin is quite thick but tight overall. Their coat is short and can be fawn, black or brindle. Whether you choose a common breed of bulldogs or an unknown breed, they will be a loyal addition to any family.